Condition is u se d an d go od. 2.2 Diesel - In good working order - will need programming to your vehicle. This part was removed from a Right Hand Drive Vehicle. Compatibility is a guide only. Your item will need to be signed for. Nissan R35 GTR, Nissan Skyline (R33 GTS-t RB25DET and R33 GTR RB26DETT), 350Z (UK and Japanese Fair lady), BMW E46 M3(S54 Engine), Vauxhall Astra VXR (H), Corsa VXR (D), Mini Cooper S (R53), Honda Civic Type R (FN2), Ford Focus ST MK2 and MK3. Manufacturer: Vauxhall. Genuine used part removed with expert care and tested where possible. Part Number: 13 145 017 CD. Nissan R35 GTR, Nissan Skyline (R33 GTS-t RB25DET and R33 GTR RB26DETT), 350Z (UK and Japanese Fair lady), BMW E46 M3(S54 Engine), BMW E92 M3 V8 (S65 Engine), Vauxhall Astra VXR (H), Corsa VXR (D), Audi RS4 B7, Mini Cooper S (R53), Honda Civic Type R (FN2), Ford Focus ST MK2 and MK3. Part Number: 93189297. Manufacturer: Vauxhall. Nissan Skyline (R33 GTS-t and R33 GTR), 350Z, 200SX, BMW E46 M3, Vauxhall Astra VXR (H), Corsa VXR, Audi RS4 B7, Mini Cooper S, Honda Civic Type R (FN2 and EP3), S2000, Ford Focus ST, Subaru Impreza Turbo WRX (Classic and New Age. ). Part Number: 9115985. Corsa 2001 - 2012 Tigra 2004 - 2012. Manufacturer: Vauxhall. Part Number: 13389546. Manufacturer: Vauxhall. See photo's for more information. Vauxhall Meriva 2010 To 2014 Fuse Box Cover. 93188419 Genuine Part. VAUXHALL PART NUMBERS: 93188419, 13206763, 13220832. VAUXHALL ZAFIRA B (2005 - 2015). VAUXHALL ASTRA H (2004 - 2009). Vauxhall Rear Fuse Box. IDENT CODES: HD, HE, HF, HG, HH, HJ, HK, HL, HN, HP, HQ, HR, HT, HU, HY, HX, LH, LJ. 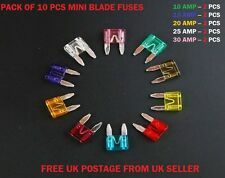 Vauxhall Zafira Tourer 2012 To 2016 Fuse Box Cover. These modules may need to be programmed to your exsting vehicle ECU system with specialist equipment, please ensure you have checked this before purchasing. 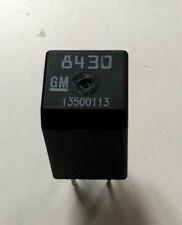 Fuse Box 30959L, BW3. 2.2 Petrol - 6 Speed Manual - Engine Code Z22YH - In good working order, will need programming to your vehicle. This part was removed from a Right Hand Drive Vehicle. Compatibility is a guide only. VAUXHALL PART NUMBERS: 93194876, 13285620. VAUXHALL ZAFIRA B (2005 - 2015). VAUXHALL ASTRA H (2004 - 2009). GENUINE VAUXHALL PART. IDENT CODES: LY, JZ, LK -. 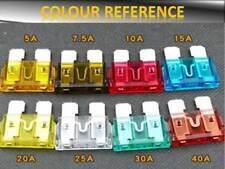 FRONT FUSE BOX COMPLETE INCLUDING FUSES, RELAYS ETC -. Vauxhall Astra GTC 2011 On Fuse Box Cover. Genuine Part 13125865. Astra H / Zafira B. Vauxhall Fuse Box Cover. PART NUMBERS: 93194877 - 93190314 IDENT KA LL J T LZ. 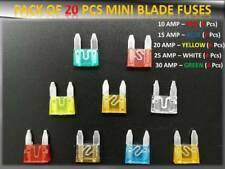 FOR VEHICLES WITHOUT REAR ELECTRICAL CONNECTION MODULE. Why Buy From Us?. VAUXHALL PART NUMBERS: 93184656, 13206746. VAUXHALL ZAFIRA B (2005 - 2015). VAUXHALL ASTRA H (2004 - 2009). GENUINE VAUXHALL PART. FRONT FUSE BOX COMPLETE INCLUDING FUSES, RELAYS ETC. This immobilizer control unit is in good working order and has been reset (security code removed) allowing it to be programmed to a new vehicle. The unit is supplied with 2 brand new immobilizer key chips. Part number 24445098 LS. Vauxhall Insignia 2009 To 2013 Fuse Box Cover. 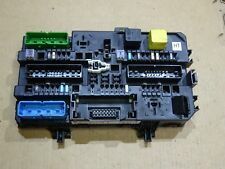 Vauxhall Astra H MK5 04-09 Under Bonnet Fusebox BCM 13206753 This is a USED part Please see the photo to see the part you are purchasing. shipped promptly after receiving cleared payment via PayPal If you have any questions send me a message and I will do my best to help you Please note that I always keep proof of postage Thank you.. This immobilizer control unit is in good working order and has been reset (security code removed) allowing it to be programmed to a new vehicle. 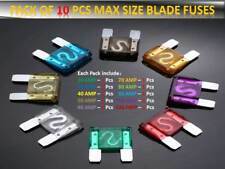 The unit is supplied with 2 brand new immobilizer key chips. Part number 13144390 UN. PART NUMBERS: 13349204 - 39065972. A14XEL[LDD],A14XER[LDD],B14XER[LDD],A14NEL[LUJ],B14NEL[LUJ],A14NET[LUJ],B14NET[LUJ],A16XER[LDE],B16XER[LDE],A16LET[LLU],A18XER[2H0],A20NFT[LHU],B20NFT[LHU]. 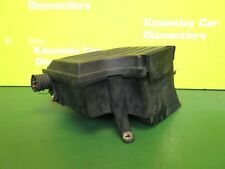 VAUXHALL ASTRA MK5 2005-2009 AIR FILTER BOX 460023377. As you are buying second hand car parts. You will always get what is on the pictures! So the condition is just as it looks in the photos. All years and models are given for a general reference only. 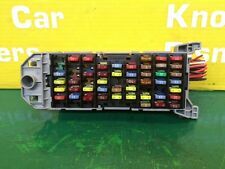 2011 MK2 Vauxhall Zafira B FUSE BOX Part Number - 13285621. Please make sure part is correct before purchasing. We try to describe our parts as honestly as we can, however please also see our images in case we have missed anything. Any questions please ask. 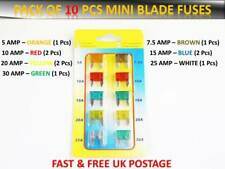 International buyers please contact us for price and availability of postage to your location. Removed from below vehicle -. Part Manufacturer GM. Produttore: VAUXHALL. Part Manufacturer Number 0013 145 017 CD. MPN 13 145 017 CD. Manufacturer Opel.